High Quality Hand Cultivator Made from heat treated carbon steel with wooden Grip Padded handle. Perfectly for loosening vegetable patch soil prior to planting Adept at removing weeds and other unwanted plants and debris. 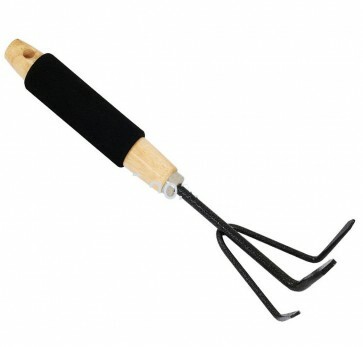 Great for planting bulbs or transplanting plants. The Cultivator is dragged through the soil at varying depths to break up clods in the soil pull out weeds, and remove rocks. The smoothed soil will make for better growing conditions, resulting in a stronger, healthier plant.